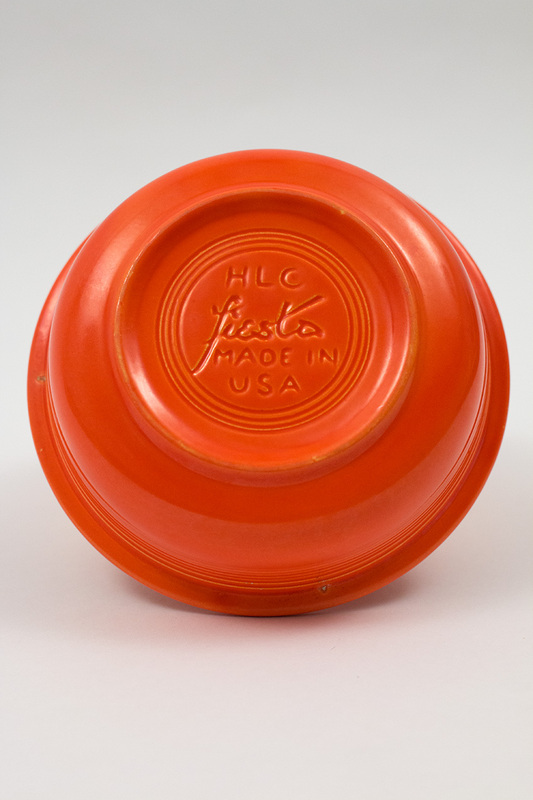 Circa 1936-1941: Collectors of Vintage Fiesta pottery will find fewer versions of everyday pieces in the original red fiesta glaze. 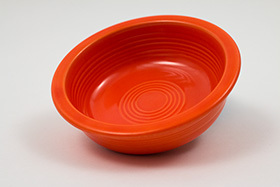 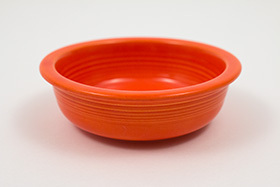 The fiesta red glaze wasn't available after 1943 until again later for a short while, but versions with bottom rings and the larger impressed marks let us date this example to early in the potteries history. 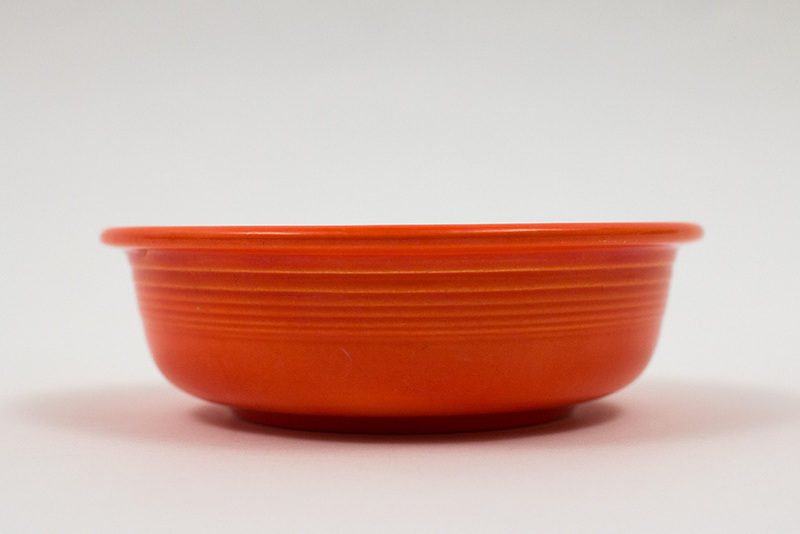 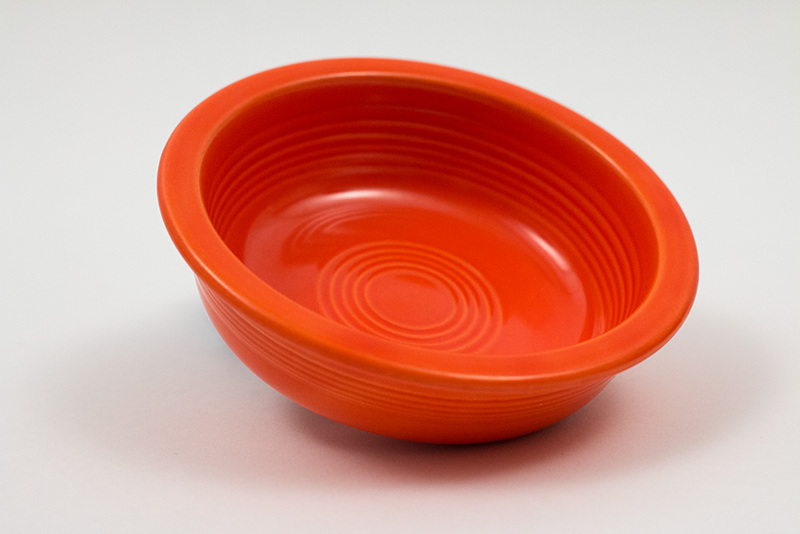 A stunning example, this 5 1/2" Vintage Fiesta fruit bowl in the original red glaze is in excellent condition, without damage, the gentlest of use and a wonderful mark. 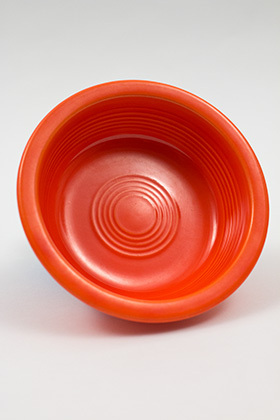 Measures 5 1/2" w x 2 1/2"h.